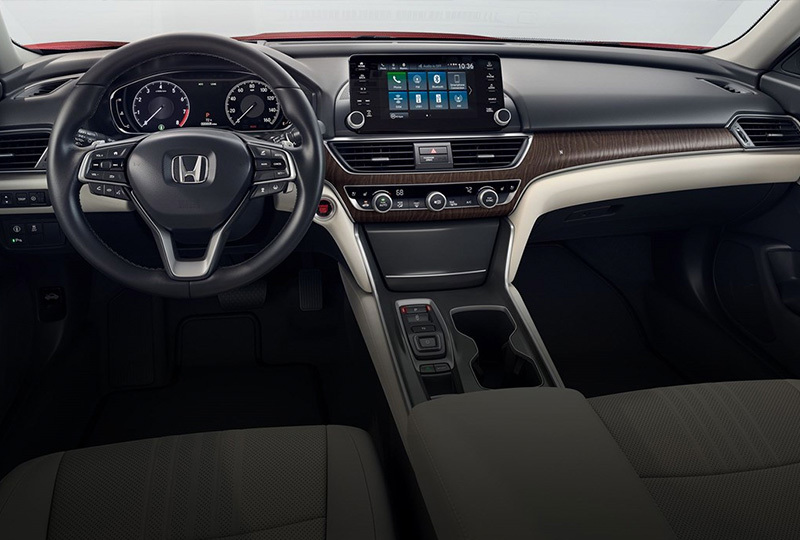 2018 Honda Accord Hybrid Now In Stock! 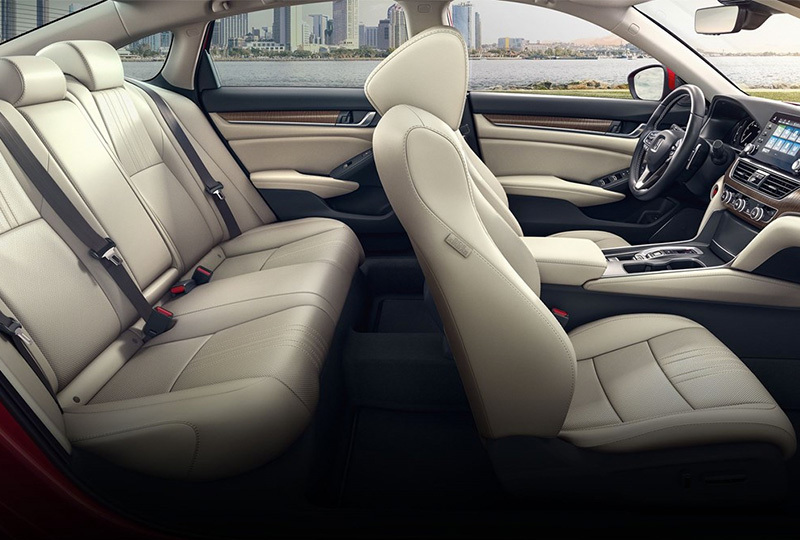 The most technologically advanced Accord ever built offers available Mobile Hotspot Capability* and other premium features for a whole new experience. 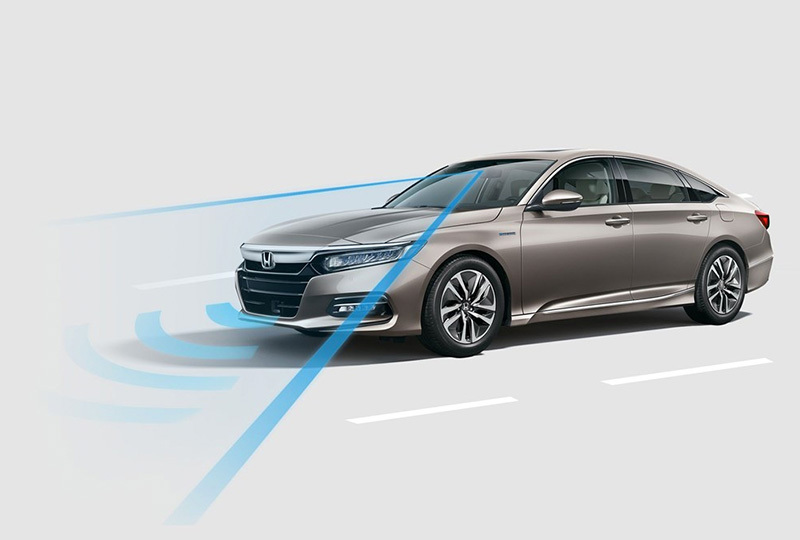 Honda Sensing® Traffic Sign Recognition (TSR) is standard on 2018 Accord models only. Hybrid model shown, available early 2018. Requires AT&T data plan. 2.0T model shown. Hybrid available early 2018. Collision Mitigation Braking System™ (CMBS™): CMBS™ cannot detect all objects ahead and may not detect a given object; accuracy will vary based on weather, speed and other factors. System operation affected by extreme interior heat. System designed to mitigate crash forces. Driver remains responsible for safely operating vehicle and avoiding collisions. Road Departure Mitigation System (RDM): Road Departure Mitigation only alerts drivers when lane drift is detected without a turn signal in use and can apply mild steering torque to assist driver in maintaining proper lane position and/or brake pressure to slow the vehicle's departure from a detected lane. RDM may not detect all lane markings or lane departures; accuracy will vary based on weather, speed and road condition. System operation affected by extreme interior heat. Driver remains responsible for safely operating vehicle and avoiding collisions. Adaptive Cruise Control (ACC): ACC cannot detect all objects ahead and may not detect a given object; accuracy will vary based on weather, speed and other factors. ACC should not be used in heavy traffic or poor weather or on winding roads. Driver remains responsible for safely operating vehicle and avoiding collisions. Lane Keeping Assist System (LKAS): LKAS only assists driver in maintaining proper lane position when lane markings are identified without a turn signal in use and can only apply mild steering torque to assist. LKAS may not detect all lane markings; accuracy will vary based on weather, speed and road condition. System operation affected by extreme interior heat. Driver remains responsible for safely operating vehicle and avoiding collisions. Traffic Sign Recognition (TSR): TSR cannot detect all traffic signs and may misidentify certain signs. Accuracy will vary based on weather and other factors. System operation affected by extreme interior heat. Driver remains responsible for complying with all traffic regulations.